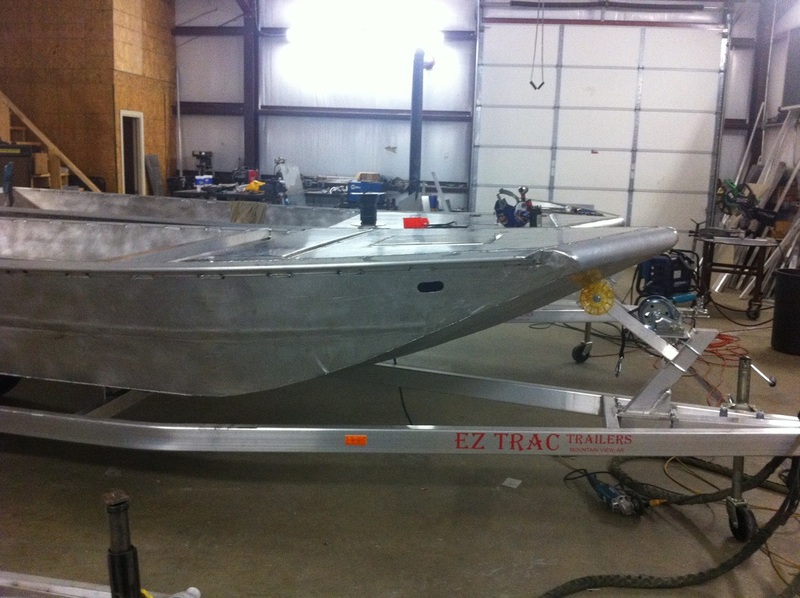 This boat was built in May 2013. When we built this boat, we had a couple of boats on order that were going to have a Modified V Rake or "Hybrid" V Rake as some people call it. 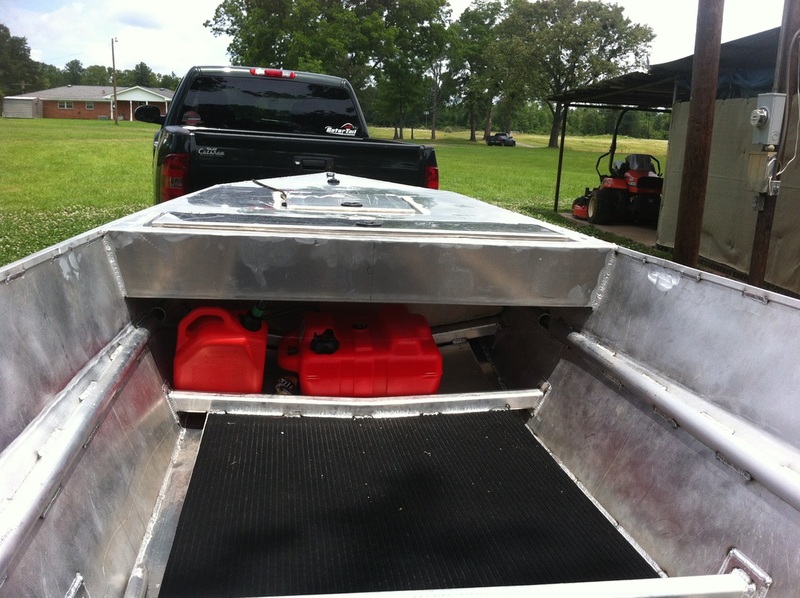 So, instead of experimenting on a customers boat, we decided to build it into one of our own boats to see how we liked it and how well it performs compared to a boat with a flat rake. 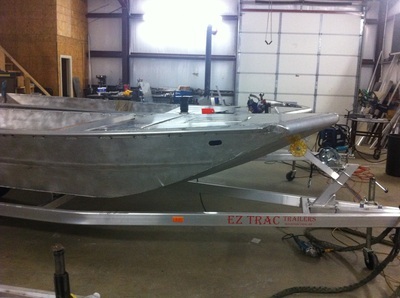 Rear Drop Deck aka "Hunt Deck"
All in all this boat performs very well for its size. 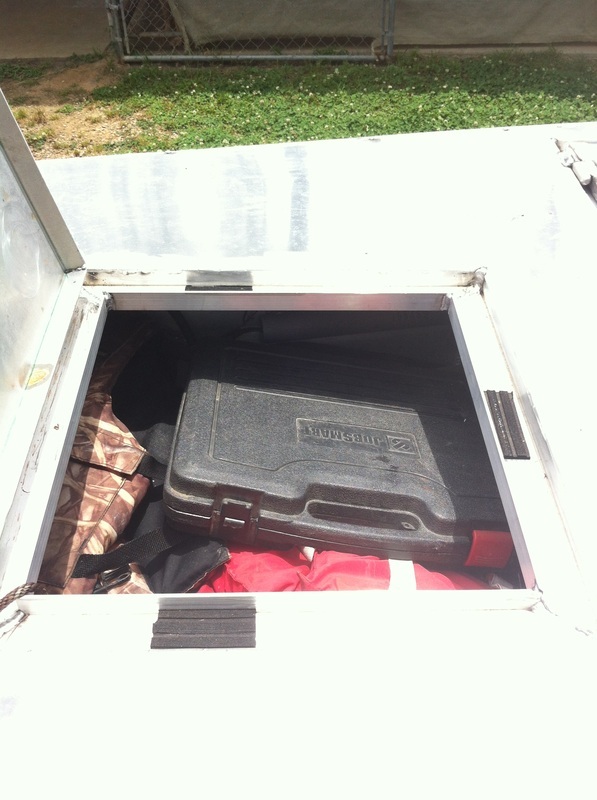 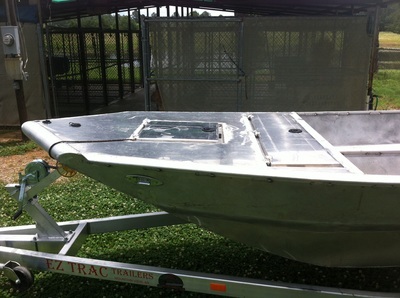 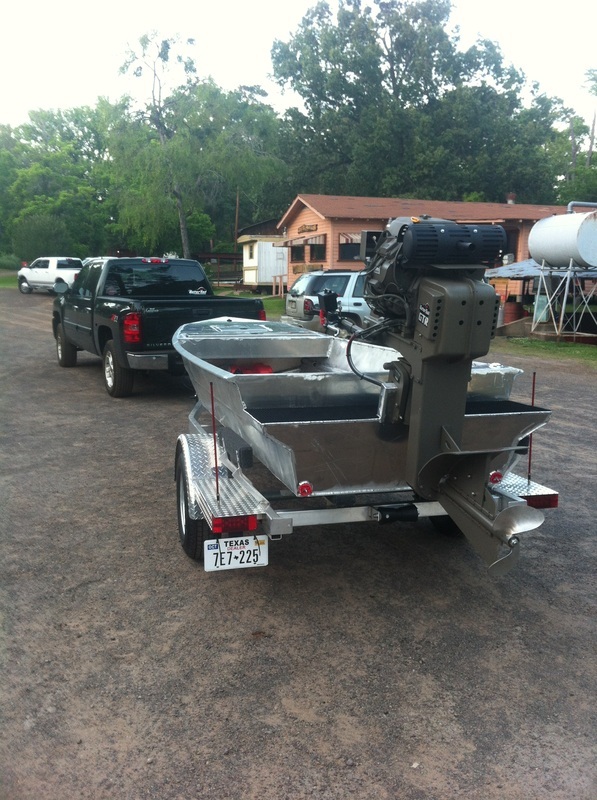 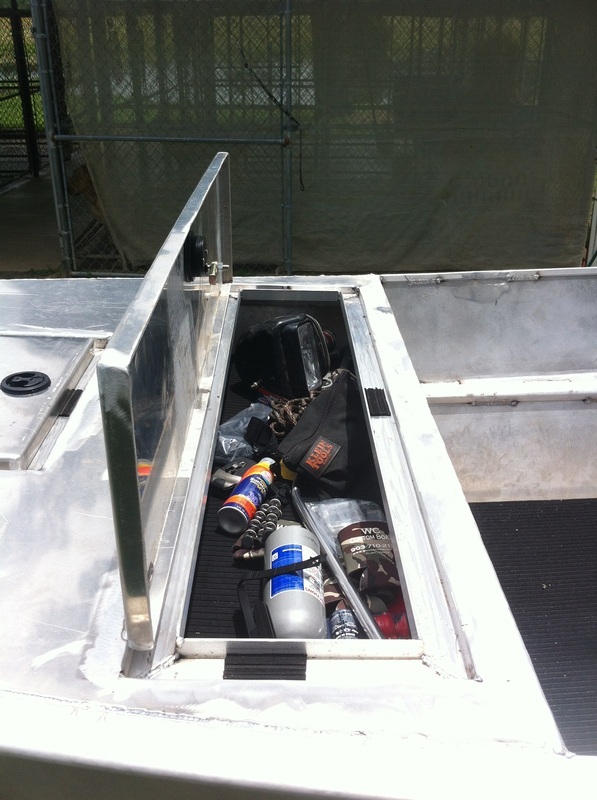 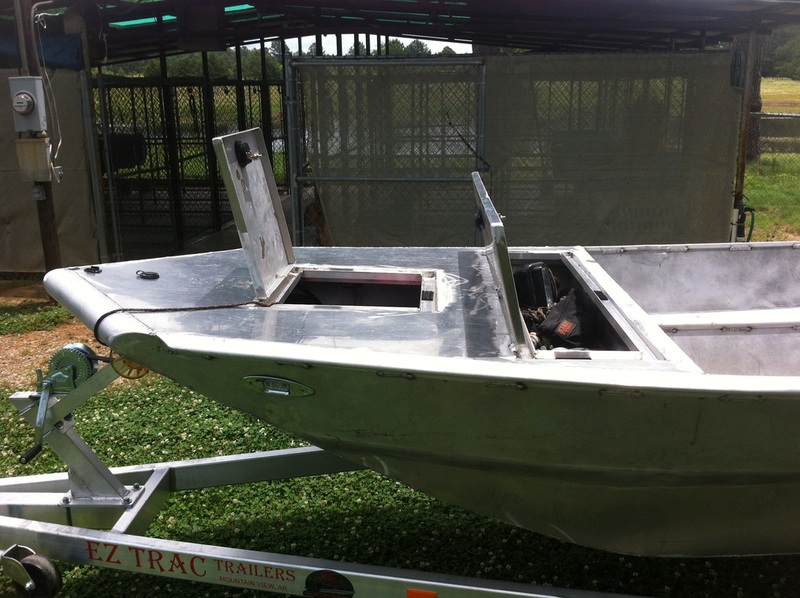 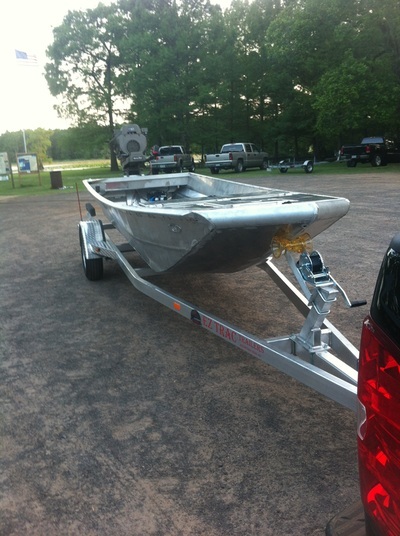 We wanted to build this boat for ourselves to use in smaller/tighter areas that we like to hunt in sometimes. This boat will handle 3 people and dog with fair amount of gear. 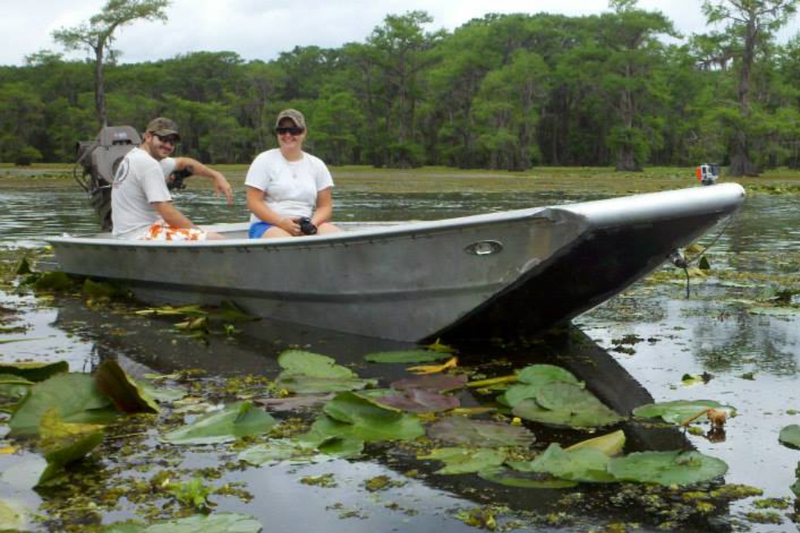 If you are hunting backwater sloughs, this is a good all around size boat, but if you are hunting divers on the main lake, this is not the boat for you. The V Rake definitely makes for a smoother ride, but it gets you wet in this small of a boat. For the smaller boats like this, I do not recommend the additional cost of the V rake for what you get out of it = WET! 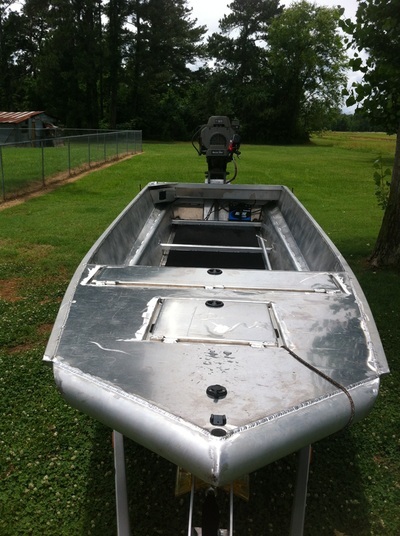 We built 2 other 54" wide boats with the V Rake and you still get wet when you hit that perfect wake, but nothing like this little 40" wide boat. 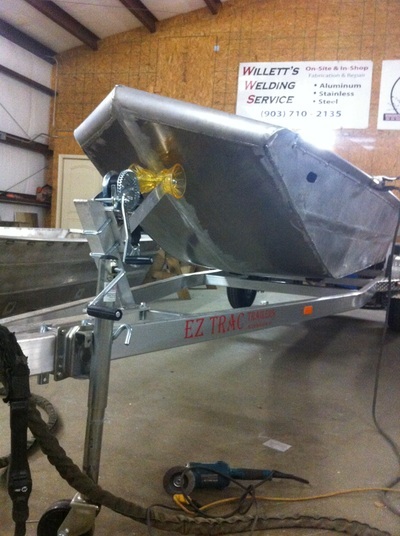 OVERALL, our personal opinion on the V Rake is don't waste your money if you want to stay dry.